Sunday found us with a group of friends for prasadam at the Palace of Gold in Moundsville, West Virginia. I’ve been here many times over the years, and while I’m not a Krishna, I like to share this place with others who haven’t been. Tucked deep into mountains, the palace still amazes me with crumbling, quiet beauty. 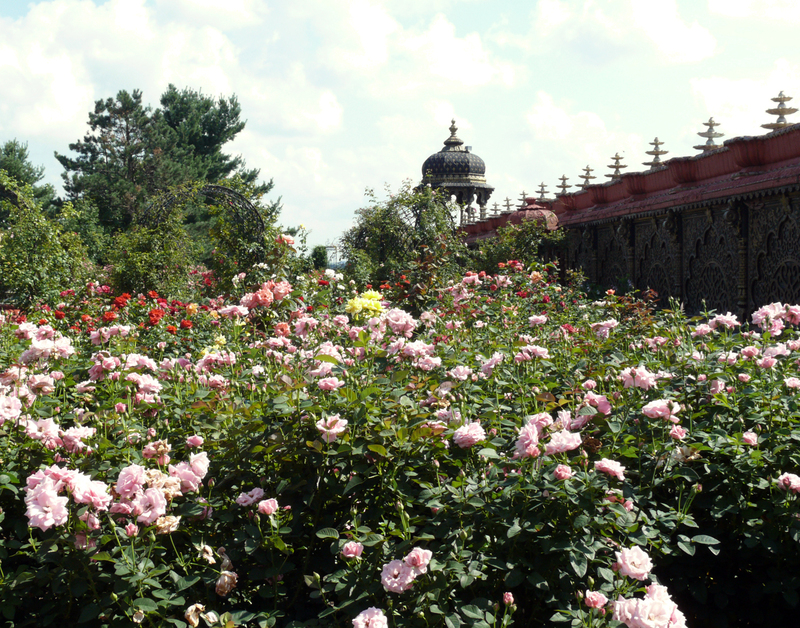 And this was the first time I had the fortune of seeing the rose garden in peak bloom. The vegetable garden was bursting with rows of leafy greens and the pond behind the palace so crowded with lotus pads that one could barely see water. The sun freckled my arms, the heat made me sleepy, and as cliché as this sounds, I was happy to feel so alive. looks like a foreign land in our own backyard. lovely. thank you! it is mind-bending, how this place is in WV. When you leave, you ask yourself, where was I again?